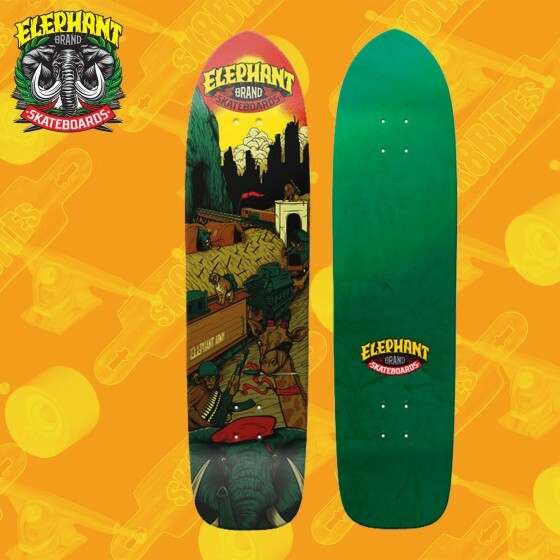 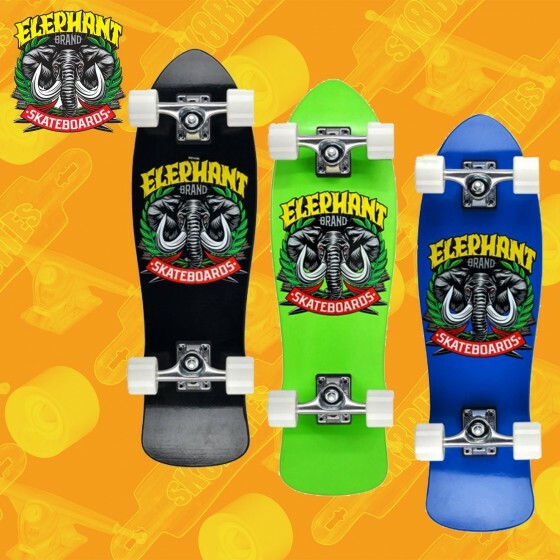 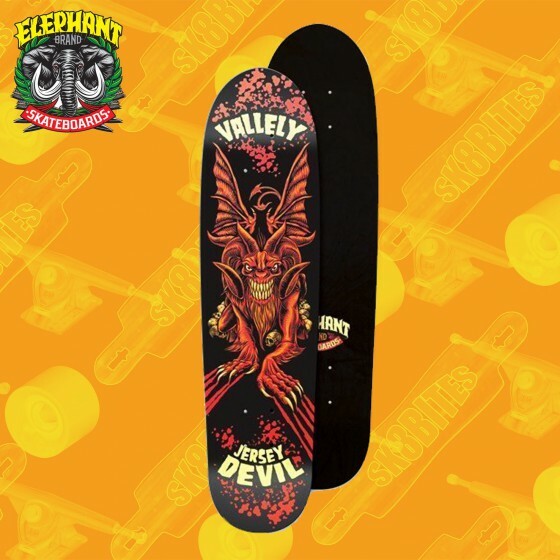 Coloratissima tavola skateboard oldschool by Elephant Skateboards Elephant Street Axe Length: 81.3 cm / 32”Width: 24.1 cm / 9.5”Construction: Maple. 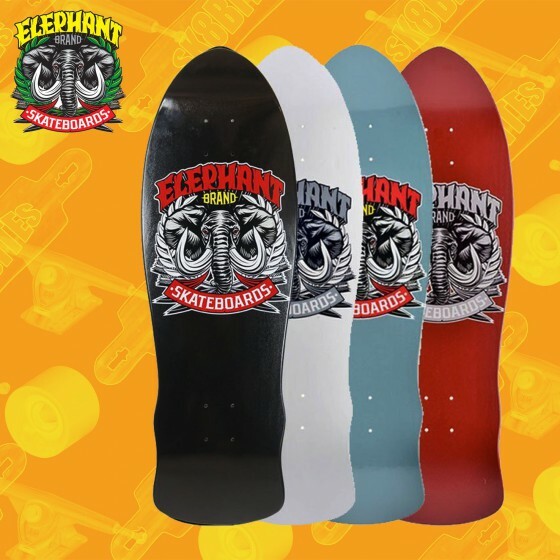 Coloratissima tavola skateboard oldschool by Elephant Skateboards Elephant BBQ Session Length: 81.9 cm / 32.25”Width: 24.8 cm / 9.75”Construction: Maple. 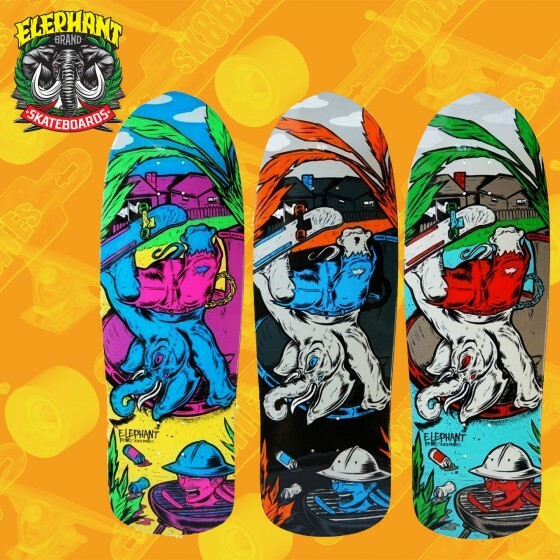 Length: 80.3 cm / 31.625"Width: 20.3 cm / 8.0"Construction: 7ply Maple.Griptape Included: No. 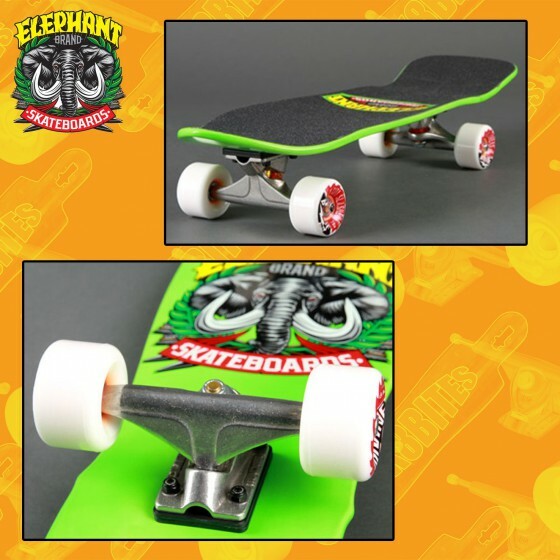 "Rancid" Jason Adams Pro Deck 9.0" x 32.75" Directional / Cruiser Shape 100% Canadian Maple 9.0" x 32.75" 7.5" nose 6.75" tail 14.5" WB Drilled for new hole pattern trucks Width over front truck : 8.75" Width over rear truck : 8.25"